There are a lot of choices when it comes to dog food. Some are nutritionally sound while others may even harm your dog's health. What's the best dog food for your dog? Choose a dog food that puts quality and nutrition first. Enter Coupon Code AUSSIE18 and SAVE 18% Exclusive to Our Readers! Just enter the code when you checkout. Wysong Dog Food takes health and nutrition very seriously. 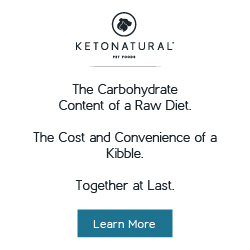 They have been in business since 1979 and have been a leader in natural dog food and holistic dog health care and nutrition. Wysong is a family company created by Dr. Wysong that focuses on providing pet foods that are healthy and nutritious. While some businesses put profits first Wysong has continued to be successful because they put the quality of their products first. Wysong pet food is produced in their own facilities so they can maintain control over the processes used to ensure the highest quality. Some manufacturers use processes that degrade the nutritional quality but Wysong dog food takes care at every step to ensure that their products retain the best quality possible. For example, Wysong even stores their ingredients like grains in their whole form and only mill it just prior to use. The reason is that milled grains lose their nutritional value quickly after milling. According to their website, you can lose up to 40% of some nutrients within 12 hours. So rather than using pre-milled grains and cutting corners Wysong mills their grains only when they need it to ensure the most nutrients are retained. Some manufacturers will simply use pre-processed, dried and rendered products in their extruders. Wysong pet food uses fresh meats and vegetables instead. What would you rather feed your dog? Freshness is key so rather than producing huge batches and storing them in a warehouse like other manufacturers, Wysong dog food is created in smaller batches and made "fresh to order as much as possible." 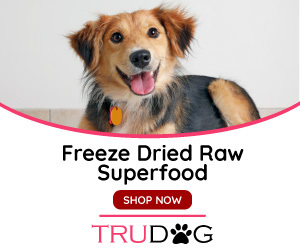 They also offer more than Wysong Dog Food and dog products. You can also find all natural foods and products made to the same high standards for your cats, ferrets and horses. Wysong has the best interests of your Aussie's health in mind and they don't take shortcuts on the quality of their products just to make bigger profits like other manufacturers. You can find more information about Wysong Dog Food and their other quality products here.